Awesome place to live w lots of things to dosubmitted by JW - Dec 18, 2018 |Recommended: YesQuiet, nice neighborhoods, helpful and kind staff. Maintenance is really great. They worked so hard to help us with an issue and we were really grateful for their time, energy, and concern about our issue. The price is very reasonable. The location is great Our favorite part about living here is ALL the amenities. One thing that could be improved is the upkeep of the grounds. However, it doesn’t decrease how much we have enjoyed living here. Peacefulsubmitted by Daniel D. - Jun 09, 2018 |Recommended: YesLiving here is great. Its peaceful, the neighbors are nice, to staff is friendly. Fantasticsubmitted by Jordan T. - Jan 05, 2018 |Recommended: YesIt's a great neighborhood with great people to live with around, and work with. Head over heels better then my previous apartment complex. I like it. submitted by Samantha B. - Jan 02, 2018 |Recommended: YesIts quiet and nice. Apartmentsubmitted by SHAMEKA W. - Nov 04, 2017 |Recommended: YesI love Woodlake Village-Waterpointe and would recommend the property to a friend and family member. The staff is very friendly and maintenance request are handled in a timely manner. Great place to live, friendly office staff, affordable rent compared to other places in the area.submitted by Patrick M. - Oct 19, 2017 |Recommended: YesI have thoroughly enjoyed my time at Woodlake. The community as a whole is a great place to live. 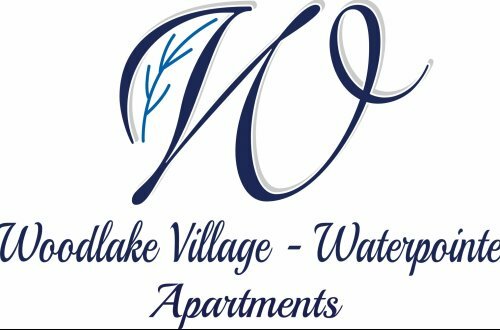 Woodlake Village Apartments are convenient for local shopping and terrific schools.submitted by Michelle G. - Apr 20, 2017 |Recommended: YesIts great for a roomate situation and its a small community, ,I have lived here for 11 years and it has always been a pleasant place to live. Love this placesubmitted by Sonya M. - Mar 02, 2017 |Recommended: YesI lived here 15 years ago and have returned because of the location, attention of the staff, schools and the overall community feel. Id recommend this community to anyone looking for a family friendly place to call home. Noise and fixessubmitted by Elizabeth F. - Dec 31, 2016 |Recommended: YesThe neighbors upstairs are a bit loud. I can always hear them stomping and running around. The laundry closest is a little strange the doors are in the way when switching over laundry. But overall the apartments arent bad and the area is fantastic. Pets 35lbs or under and non-aggressive breeds are allowed. There is a $300 non-refundable pet fee for the first pet and $200 for the second. There will also be a monthly fee of $20 per pet per month added to the monthly rent.